Mahanati Savitri gari gurinchi biopic anagane manaku first gurtochedi asalu a rojullo costumes ela design chesaru. E movie ki main hero Nag Ashwin and inko important asset Keerthy Suresh aitey vellatho paatu manam matladukovalsindi, designers Gaurang Shah, Archana Rao and stylist Indrakshi Pattanaik gurinchi. 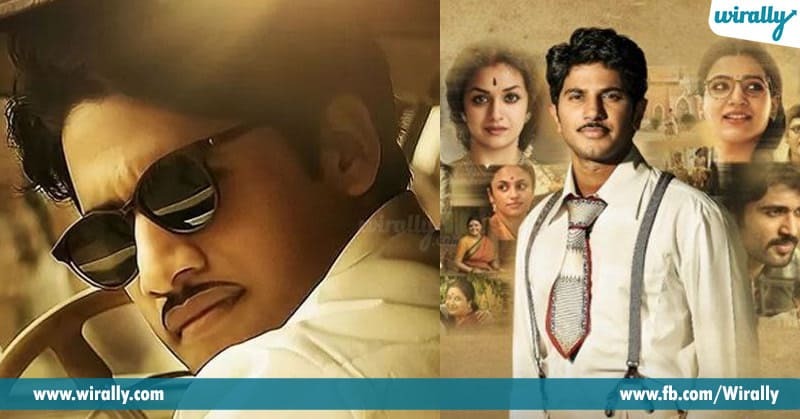 Velle Mahanati costumes anta andamga undadaniku karanam. There was a time when Indrakshi Pattanaik would people watch for hours in Florence, Italy, where she was pursuing a fashion programme. A time lo enno museums visit chesaru and she was fascinated by textiles and garments of Renaissance era. At that time, she had no idea she would one day be styling for a Telugu film with a story that spanned from 1940s to early 1980s. Idi definitely tanaku oka lifetime experience. She was born to an Oriya father, Bengali mother and tana schooling anta Kolkata lone jarigindi. She didn’t know enough about Savitri. Indrakshi had styled Chiranjeevi in Khaidi No 150, working along with Chiranjeevi’s daughter Sushmita Konidela. She shifted to Hyderabad and started styling A-list actors for public appearances and song sequences. That’s how she is on board for Mahanati. 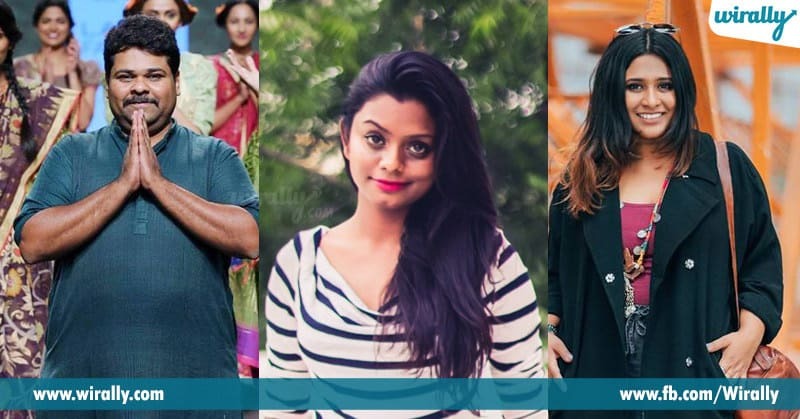 Archana Rao was roped in to design for Samantha and the pivotal male characters while Gaurang Shah was to do the honours for the women, especially Keerthy Suresh. They did a massive research and also many veteran journalists shared old newspaper clippings. 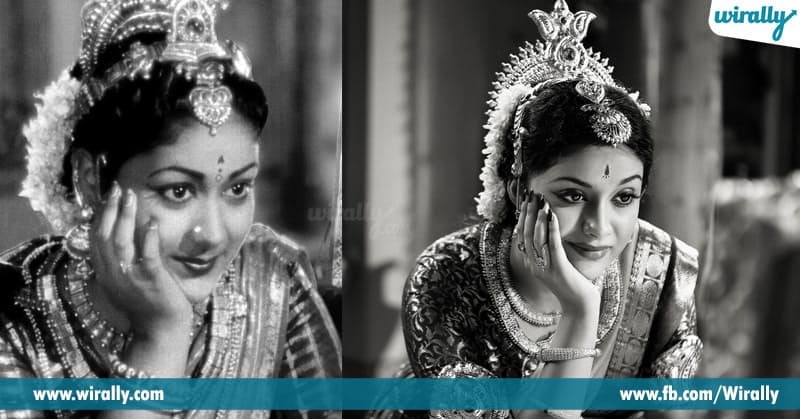 The film unit came across Lux print ads featuring Savitri and Gemini Ganesan and e movie lo vatini recreate chesaru. 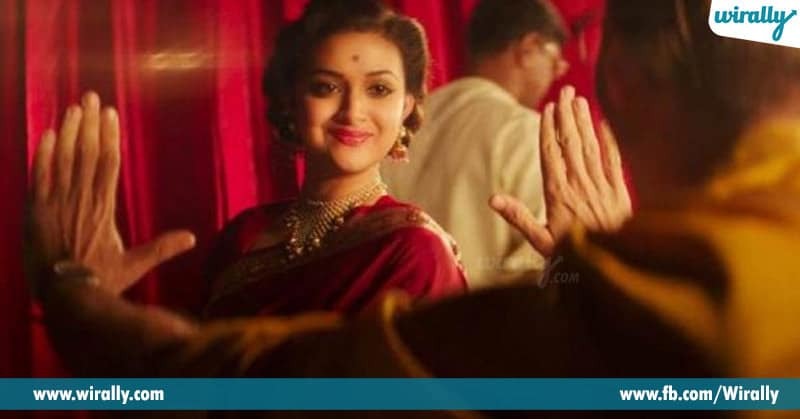 The film also highlights Savithri’s interest in cars and recreates a race course scene. The film’s colour palette varied according to the on-screen and off-screen rise and fall of Savitri. During her childhood, Savitrichose earthy tones in cotton and khadi. After shifting to film industry, she started using vibrant colors. Red was Gemini Ganesan’s favourite colour and it finds prominence as their romance blooms. Eventually, green, the colour of envy takes over to show the rift between two strong personalities. Blues, dark tones of maroon and moss green signify the later years of decline. 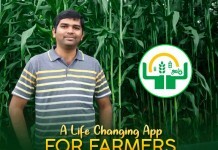 E project start ayemundu, on social media, Indrakshi requested people to share photographs and any information about the people and lifestyles of 1940s, 50s, 60s and 70s. She wanted to understand what the people in those times, used to wear at home, at work, on the streets, for weddings, polo matches. She observed the difference in the cut of blouses, jewellery, bindi and accessories in each decade. Tana team vintage saris ni chala Telugu states, Tamil Nadu and Bengal nundi tesukocharu. Ivanni pakkana peditey, she got a doubt that what Savitri wore when away from the public eye. Meeting Savithri’s daughter Vijaya Chamundeswari filled that gap. Savitri tana trademark long bindi only for public appearances and films kosam pettevaru. But intlo unapudu she used to opt for round bindi. Motam thickness of belts degara nundi size of glasses and each and everything chala research chesi, they started working on it. They worked really hard to decode the vintage south Indian fashion. Styling the non-cinematic characters — Samantha as a journalist of the 80s and Vijay Deverakonda as a photojournalist, e team cinematic world nundi bayataku vachi chala research chesaru. 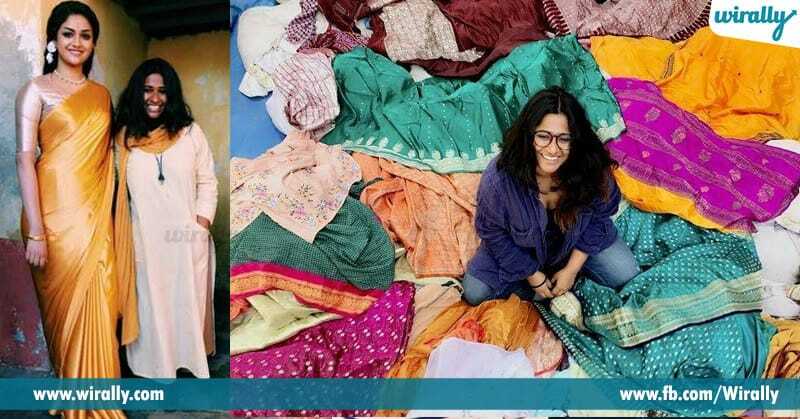 Gaurang Shah had designed a few ensembles for Kirron Kher in Khoobsurat kaani Mahanati ki complete ga work chesaru. It took six months of research and over a year of work to not just match the director’s expectations, but also ensure authenticity. His team sourced heavy silks from Kanchipuram and Benaras, fabrics from Kota and Mangalgiri and used block prints. More than 100 artisans tho work chesaru and they used Mangalgiri and Kota with prints were used to portray Savitri’s rise to stardom. Heavy brocades, silks, organza, handwoven satin and chiffons emo tana golden era kosam use chesaru. A time lo vella team chala museums kuda travel chesaru. Mayabazaar sequence kosam they used a heavy Kanjeevaram lehenga and blouse with an organza dupatta. Almost 3 months patindi, valaki same color, dabric and design set avadaniki. 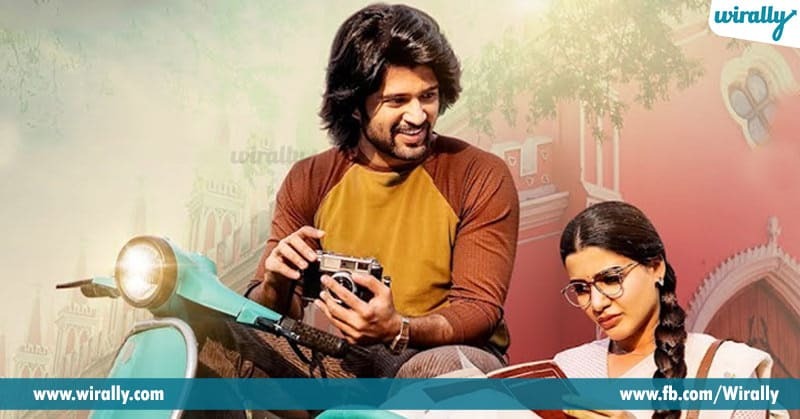 Dulquer Salmaan , Rajendra Prasad , Naga Chaitanya , photo journalist Vijay Deverakonda, journalist Samantha characters ki design chesindi Archana Rao. ANR gari kosam photos reference ga tesukunaru and Gemini Ganeshan costumes lo they had western influences. Samantha character koncham stylish ga undali but at the same time traditional ga undali, so they used sports high-waist skirts and tops and her plaits and bindi were in place. Polyester blend saris were specially ordered. Designing for Rajendra Prasad meant keeping the clothes simple and even worn out while depicting his village origin and later, a glamorous turn as Savitri rose in filmdom. 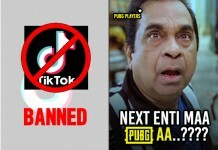 Well, vela kastam manaku terameda kanabadutundi. 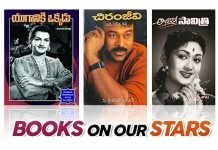 Nijamga Mahanati oka adbutam enni samvatsaralu aina manam marchipolenu entho manchi anubhutini ichina cinema.